“We are Mike and Deb Hansen. Along with our three children, we own and operate an 80-acre farm named “Gifts from the Good Earth” near the central Wisconsin community of Milladore. We strongly believe in the benefits of organic production and raise our turkeys and chickens to meet and exceed the National Organic Program standards. In 1998, we achieved organic certification and are currently certified by the Midwest Organic Services Association (MOSA). Over the years, we have been innovative leaders in the field of pasture-raised chickens and turkeys, and we have grown to include pastured-raised pork and lamb as well. “Good Earth Farms, is the culmination of years of friendship between our farm and five other organic pasture-raised farm families in Wisconsin. Because time marches on, kids get older and move away, and because life throws a curve ball at us once and a while, Good Earth Farms came into being – so that we could continue to offer our friends and customers the humanely-raised organic meats that they need. Start planning your best ever Thanksgiving holiday feast with the finest possible main course available… an organic, pasture-raised turkey from Good Earth Farms. Call GNG at 920.868.9999 to place your order. You can request a small, an average (13 lbs.) or a large-sized bird. You can also order whole birds or just breast and drumsticks. 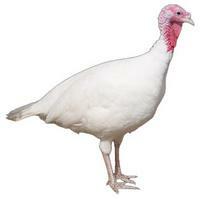 Frozen turkeys will be available for pickup at Greens N Grains. 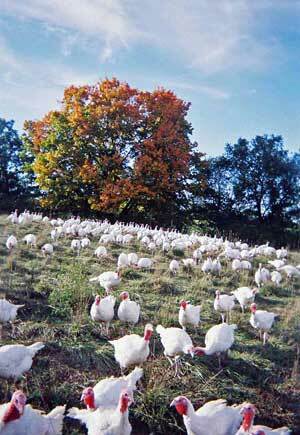 Since it is intended that their birds spend the majority of time grazing outdoors in pastures, they only raise turkeys and chickens during the warm months of the year, maturing them by late September, when they are harvested and flash-frozen for delivery throughout the holiday seasons of Thanksgiving, Christmas and Easter.